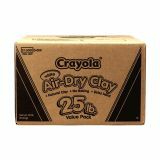 Crayola Air-Dry Clay, White, 25 lbs - Crayola Air-Drying Clay is a solution that is perfect for art room and classroom. 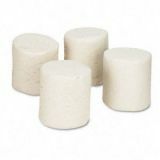 Clay can dry anywhere, anytime, without need for baking in an oven or firing in a kiln. Results in the creation of a piece that can be sent home or easily kept. No need for special glazes. Clay can be decorated with tempera or acrylic paints, or watercolors. 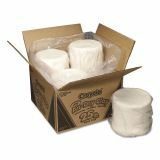 Air-Dry Clay is less clumpy than traditional clays and cleans more easily off hands and surfaces.